How fast can cellular internet get? 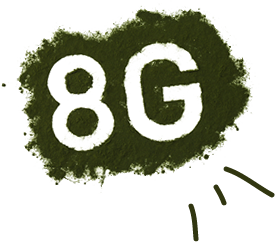 Don’t worry, there’s no such thing as 8G. Yet. In fact, we’re really still in the 4G world. 5G is still a few years away, and if that doesn’t satisfy the techies, we should expect 8G in about 12 years or so. What I’m saying is don’t worry about it. But really, the question is, “how fast can cellular internet get?” It’s a very real question because the demand will keep increasing as we all figure out things we want to do with our devices. Today’s cellular internet is technically within the 4G standard set out by the International Telecommunications Union, and the way that those 4G speeds are achieved are using a plan for “long-term evolution” of the original European standard for digital phones. (LTE, get it?) We’ll be staying with LTE for a while yet, probably another 5 years. It has a theoretical top speed of about 100Mbps, although most people rarely get more than 15-20 in real-world testing. Why? It’s not the technology, it’s the bandwidth. [i]In fact, it’s always about the bandwidth. See, your phone doesn’t work by itself; there are thousands of people around you using their phones at the same time. They’re all communicating with the cell towers using very small bits of radio-frequency spectrum, and when a phone can’t get those radio waves to itself, that’s when things slow down. This is done on purpose otherwise the first hundred or so people to use a cell tower would have great internet while everyone else would get nothing. So, if you want faster cellular internet, you have to allocate more radio waves to every person. That’s just how it works. Right now the plan for 5G has it using radio waves up in the “millimeter” bands, which are currently used for satellite TV and other long-range communications. While it’s possible to have very small antennas in those bands (good for cell phones) it takes a LOT of power to receive and decode those super-high frequencies (bad for cell phones). It also talks a lot more power to broadcast them (bad for cell companies, and bad for customers when the costs are passed along. It’s going to be very hard to develop handheld technology that really lives up to the promise of 5G, which is wireless transmission at 10Gbps (roughly 10,000Mbps.) In the meantime those 5G transmissions will be used to give you fantastic home internet speeds without a fiber or copper line coming into your home. The idea that we could all be tooling around with the ability to download a 2-hour movie at 4K resolution in 2 seconds sounds pretty outrageous, but then again just streaming video on your phone at all sounded futuristic 6-7 years ago. It’s coming, and not only that I’m sure that it’s not the end. There does have to be a limit where there isn’t enough usable radio spectrum for everyone to get the speed they want, and it will eventually happen. Not for a while though, as the FCC pushes traditional radio and TV into ever-smaller groupings to make way for cellular. If I had to guess — and it’s really only a guess, the limit is probably about 25Tbps (about 25,000,000Mbps) in actual use. I don’t expect to see those speeds in my lifetime but perhaps by 2070 we’ll be there. I’m not sure what kind of information would need to flow down a pipe that wide but the one thing I can be extremely sure of is that it will seem not only perfectly normal, but necessary. How much power does a cell booster use?